About 20 years ago, three generations of Wolford women made a trip to the courthouse in Coshocton, Ohio to find details of my great grandparents’ lives. No information was found, but it made for a great photo. 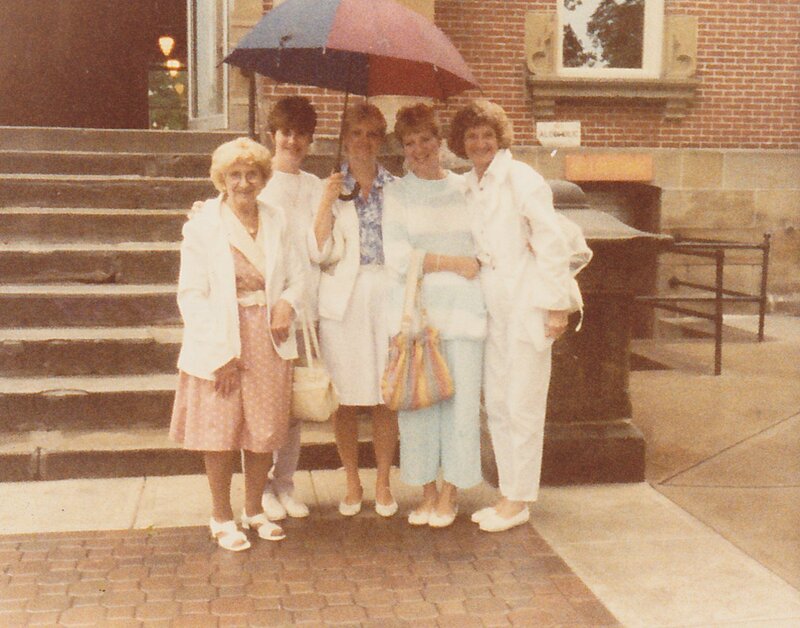 My great grandmother Caroline Probusky Wolford, aunt Marie Witt Dockry, mom Rebecca Witt Lowry, aunt Julie Witt Sofranko and grandmother Barbara Wolford Witt Viti. ← Merry Christmas from the Lowry’s!